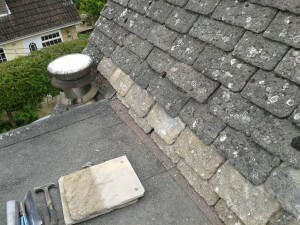 Another completed section, the tiles has been laid previously by another roofing company and were not laid correctly. Completed renovation of a section of bradstone tile. Over the centuries, mankind has constructed and built dwellings from the most abundant material to hand. In many areas of this country, that material was stone, and not only the walls, but alsothe roofs were crafted from stone sourced from small local quarries. In these current times, Bradstone roofing is the perfect choice to replicate the characteristic look, both on new developments, or on refurbishment projects. On new housing our roofing helps a house blend in with its surroundings, especially in conservation planning areas. On refurbishment projects, Bradstone roofing replaces natural stone slate seamlessly and is able to offer the same profiles including diminishing courses, especially as all of the slates have been cast from moulds taken from the original stone. Bradstone tiles are still made today, though unlike most tiles are difficult and expensive to purchase. 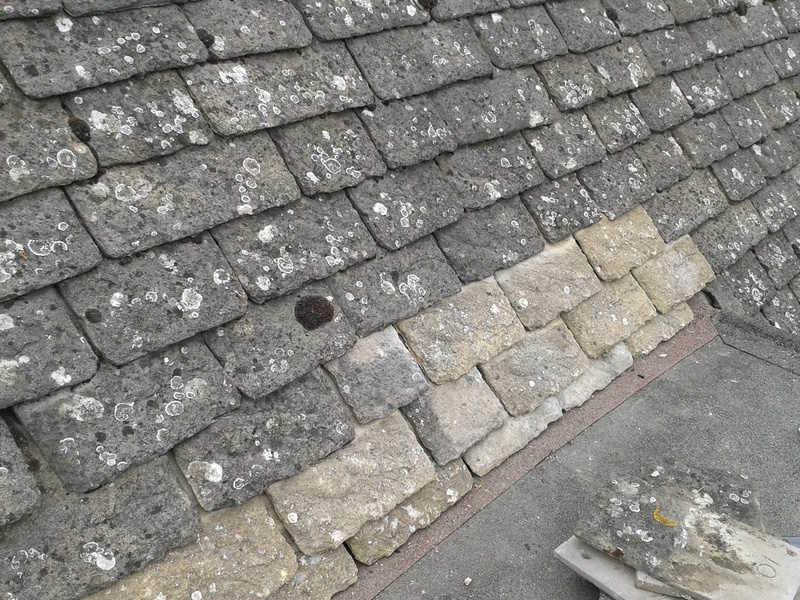 Trying to source the tiles from reclaim yards is usually the best approach for repairs and going to Bradstone itself for any substantial work.